Products made from rosehip oil are the all-natural and are high powered trend these days. Rosehip oil is extracted from the seeds of rose bushes which are further used for various purposes. It is packed with natural activates which makes it to be used widely over skin and health. We brought a list of 50 which would show you how important is rosehip oil in beauty regime and what are its benefits. Rosehip oil is rich in Vitamin A and rich in collagen which helps to keep your skin clean and glowing every time. The oil helps to pull out the dead cells which keeps your skin look fresh every time. Rosehip oil is been used by ages which helps to increase the attention towards the skin. As rich in vitamin A and essential fatty acids, the oil helps to instantly glow your skin and gives a lightening effect. The oil is very light in texture which is absorbed by the skin easily and quickly. Being rich in collage and vitamins, it removes the dead skin restoring the elasticity back to the skin. Rosehip oil has been widely used in making anti-ageing serum and creams. This beautiful oil helps to shrink the wrinkles and fine lines which are visible on the skin after 30’s. A great ingredient to be used by women and men’s both. Rosehip oil contains high concentration of fatty acids which helps to hydrate the dry skin well and also keeps it nourish all the time. The oil benefits in balancing the hydration level on skin. Uneven pigmentation is the embarrassing moment and the worst part of being a victim of this problem is it does not get treated suddenly. All you need is a long time procedure and treatments to be taken. Rosehip oil is a wonderful ingredient in treating uneven pigmentation. Rosehip oil can be used on irritated skin aswell. It has the soothing capacity, which helps to calm down the irritated skin. You can apply rosehip oil daily to your harsh sensitive skin and leave it overnight. If your skin secretes lots of oil on your face, you can use rosehip oil to control the secretion. Wipe you face once with rosehip oil and feel the difference. 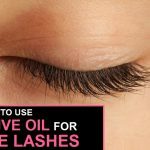 On regular use you will see there is less amount of oil on the face and it is controlled day by day. Cut lemon into two pieces and add 2-3 drops of rosehip oil and continue massaging with this over your face and nose. Rosehip oil and lemon together works well which helps to remove the white and black heads over face. Once, everyone have to go through a phase where your skin is damaged due to excessive heat and the harsh UVB rays. Rosehip oil helps in aiding cell damage which can help to combat sun damage. Rosehip oil certainly is a great ingredient which helps to treat scars over face due to its astringent properties. Regularly using rosehip oil can help to reduce scars. Ranging from small to bigger, they can be anywhere which actually doesn’t looks well and we absolutely hate this. Stretch marks can be treated with regular application of rosehip oil over the affected area. If you have spent few nights working with your laptop, you are sure give an outcome of puffy eyes. Rosehip oil can be used as a natural eye serum which helps to reduce the eye puffiness due to its anti-oxidants properties. Being rich in essential fatty acids, vitamins and anti-oxidants properties rosehip oil is a great ingredient to be used to treat dark circles. In addition to various beauty benefits, rosehip oil is also an astringent. When used with moisturiser, rosehip oil can help you to eliminate blemishes on face making your skin soft and supple. Rosehip oil treats in peeling of skin. It helps to rejuvenate your skin and due to its antiseptic properties it helps to repair the damaged skin and avoid peeling. The yeast in the oil excretes the substance that peels off the skin. Applying little of rosehip oil to eyebrows helps to make them soft and smooth. On regular massage, you get them easy to manage and get your arches done perfectly. Due to its astringent and anti-inflammatory properties, rosehip oil helps to shrink the size of your large sized pores. Applying rosehip oils on acne helps to keep your skin acne free. Rosehip oils are effective on serious types of acne eradicating the dark spot left behind on the face. 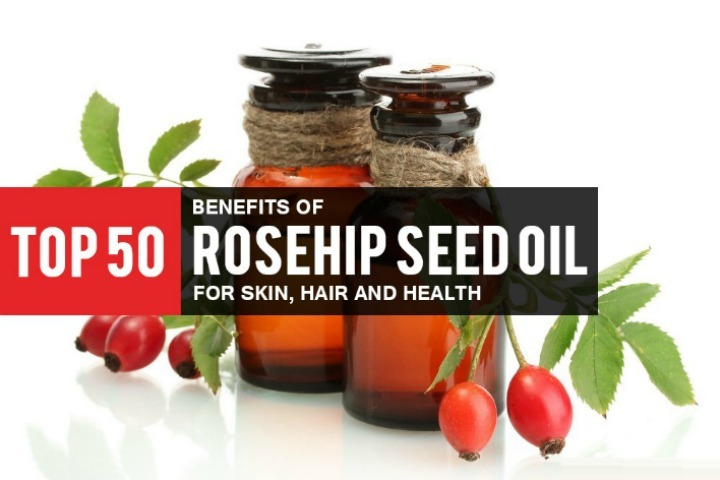 Rosehip oil should be used before your shave your skin. Infact it can also be used as an alternative to shaving cream which helps to lower the risk of skin damaging done while shaving. Rosehip helps to treat your brittle nails and also makes them grow stronger. Massaging your nails everyday with rosehip oil keeps them away from fungus and also makes them healthy and strong. Hair thinning reaches a serious stage where you start losingyour hair day after day and there is a major hair loss. Oiling your hair with rosehip oil can help to strengthen the hair follicles which ultimately help in combatting hair thinning. You get few new hair strands just after you start using rosehip oil over your scalp. Rosehip oil helps to nourish you scalp properly and also keep a check on hydration value. It helps to fight against the damaged cell over scalp. Rosehip oil is a great antioxidant and has free radicals which help to eradicate the dead and harmful cells over scalp. There are various environmental problems which are reason of hair loss and rosehip oil helps to battle against them. Adding few drops of rosehip oil to your leave in conditioner can help to make your hair light and non-greasy. Besides adding few drops of rosehip oil to conditioner, you may also add it with shampoo if your hair is damp. It will restore the moisture content over your scalp and also make your hair grow strong and healthy. Simply massaging hair 20 minutes before you shampoo your hair can help to combat dandruff problems. It is been used in many anti-dandruff shampoos but using it raw over scalp will give you excellent results. The most effective remedy to treat spilt ends is rubbing your lower ends with rosehip oil. It makes your hair follicles grow strong and also smoothens it treating split ends. Just rubbing rosehip oil over your hair helps to make it look sheen and lustrous. You can apply rosehip oil alternatively to your hair which does not make your hair and scalp greasy. 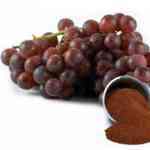 Rosehip oil helps to treat premature greying of hair. You can apply raw rosehip oil all over your scalp and massage it well. If not, you may add some rosehip oil to coconut oil and then oil your scalp. Just a few drops of rosehip oil can help to treat your cracks feet’s. Besides treating your cracked heal, it gives you a silky smooth skin too. Adding few drops of rosehip oil to your facial masks and creams help you to boost their effects on skin. It provides skin lightening and brightening affect. You can give an overnight foot massage with rosehip oil. Apply some oil over your feet and cover it completely with a soft cloth. This will remove the sunburns and also relief pain. Your skin starts chapping where there is a sudden change in environment and most probably in cold weathers. Applying rosehip oil to your skin helps to maintain them healthy and also avoid chapping. Using rosehip oil towards baby is always safe and beneficiary. They are mostly to contract nappy rashes which is not healthy for your baby. Even it is good for women during their monthly cycle and is likely to contracts rashes due to sanitary pads. Using Rosehip oil can be used to treat the rashes. Using rosehip oil helps to treat inflammation and redness of skin. Bites over skin can be treated effectively. Rubbing rosehip oil over your beard areas helps to soft the hair which makes it easy to while gliding of razor while shaving. Appling rosehip oil over your elbows and keens can help to maintain an even pigmentation over these flaky skins. 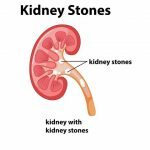 It helps to restore elasticity to these targeted areas. Rosehip oil helps to maintain the hydration on the skin which makes it supple and smooth. Regular applying rosehip oil over all your body helps to restore the hydration to your skin. Rosehip oil helps to tighten the skin and gives to a firm neck. It is used a neck smoothing treatment, which helps to make your neck look radiant and glowing. Rosehip helps to boost gel over face and skin. Before applying gel apply rosehip oil on your face and skin which helps the gel to penetrate on skin and scalp deeply. Massaging rosehip oil over your lips helps to soften the lips and also treats chapped lips. The best way to get soft pink lips is to apply oil and leave it overnight. Rosehips oil helps to eradicate the dead and damaged cell over your lips. Massaging rosehip oil with lemon helps to treat dark black lips. Rosehip oil is used as an aftercare of tattoos. After you get a tattoo done, the area is likely to become swollen and there are chances of itching or any fungal disease. Applying rosehip over your freshly done tattoo helps to reduce the swollen. Rosehip oil helps to assist overactive oil glands which helps to produce more oil to the body and are responsible for many infections cause due to blood impurities. Oiling your scalp every alternate day with rosehip oil can help you to calm your mind, body and soul. It also helps you to concentrate and focus on things better. Rosehip oil is naturally rich in vitamin A and C which helps it to control the diabetes in the person. Rosehip oil is commonly used in making of jams, soups and sauces. Regular intake of rosehip oil helps to treat high diabetes. Just having a deep tissue massage with rosehip oil can relief your pain. Rosehip oil is well known to get an insta relief from muscle pain and also helps in proper flow of blood throughout the body. You can see inflammation over your knee area if you are suffering from any knee problems. Any oils especially rosehip oil can give you an insta relief from the pain when used daily. A lessening of body pain and even treating frozen shoulders are its one of the important use. Facial rosacea can be explained as a condition of excessive redness and inflammation on skin. You feel the skin greasy and feel itching over it. Just wiping your face twice with rosehip oil can assure you with better condition of skin. 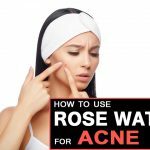 How to Use Rose Water to Get Rid of Acne? How to Use Coconut Oil for Sunburn?